The recital will take place at 19.00 and will consist of a repertoire based on classics of the instrument, among which stand out the Fantasia-Impromptu, the posthumous Nocturne in C sharp major and the Valses op.64 by Chopin; The nocturne for the left hand op.9 of Scriabin and the Prelude number 12 of Debussy, as detailed by the Foundation in a press release. 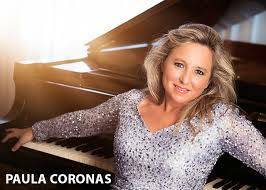 The performance of Coronas will serve to open the programming of Miradas al Sur, which this year celebrates its second edition, with a concert agenda that includes the presence of great and varied performers in stages of Andalusia and Ciudad Real. Miradas al Sur is a project organized by the Unicaja Foundation and directed by Paula Coronas with the aim of making known some of the most current national artists and investigating the work of Andalusian and Spanish classical composers, as well as their maximum influences. Professor at the Professional Music Conservatory 'Manuel Carra' in Malaga, Paula Coronas treasures a career as an interpreter that has been distinguished with awards such as the Andalusia Prize, awarded by the Board, the Culture of Andalusian Federation of Culture Award, the First Prize Internacional de Ibiza or the Pío Tur International Prize. Throughout his career, he has worked with directors such as Manuel Hernández Silva, Edmon Colomer and Miguel Sánchez Ruzafa, completing performances on stages in many countries and "carving out a great prestige as a specialist in Spanish music," said the Foundation. His performance as concertist is added to a wide record experience, with enormously celebrated works about composers such as Joaquín Rodrigo or Antón García Abril, from whom he premiered the piece 'Alba de los Caminos', dedicated to the artist herself.